I just finished DD a few weeks ago and I have to say that it was a great season and really made me enjoy the character. Im more inclined to pick something up with DD in now becaus ethey did him justice. I thought DD was a lame character becaus ethe only exposure I had with him was the movie and we all know how that was! Im really excited for the next 3 shows to come out and to converge in the Defenders. Great idea Marvel! @Wolverine2216 If you check the past episodes the CGS crew did a great spotlight series on Daredevil and they highlight some of his best runs. @matchkitJOHN I appreciate it man Im gonna have to give them a listen. I figured since Im so far out of continuity seeing as how I just started collecting and reading a little over a year ago Im trying to get the best story arcs for characters I enjoy to catch up to where we are now which I doubt Ill ever get caught up enough for that but its a goal lol. This is actually my first time seeing what Ritter looks like. Looks Jones-y enough. 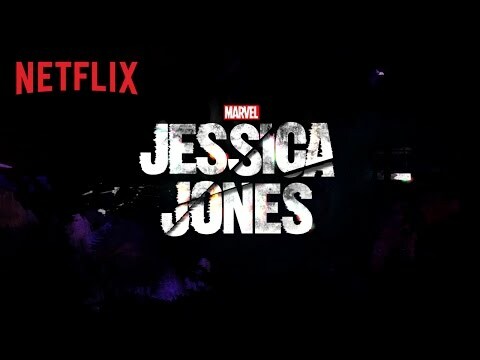 IGN says Jessica Jones is darker than DD. 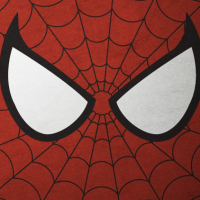 ...firmly marks the series as the most mature Marvel Cinematic Universe project to date. Cool. No drop date, though. 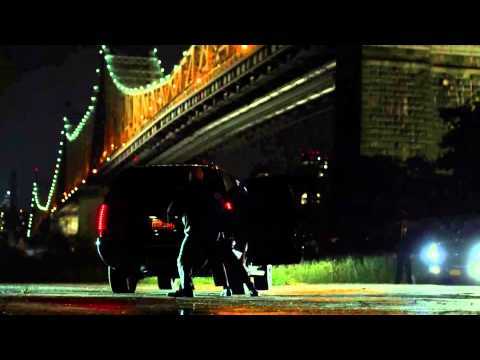 Has anyone tried listening to the just the audio description to Daredevil without watching? It's like listening to an audiobook. I think it's a radical and outstanding idea, given the show's premise (blind super-hero). Great VO person too, check out this scene implementing it below. Netflix does Descriptive Audio for most of their original programming. Yes. They added it to Daredevil a few days after the series debuted only after fan outcry on April 14. I just figured if anyone likes audio books, they might also enjoy listening to Daredevil. I think it's great. I agree. I just think the story is funny. Because it's a bit of jiggery-pokery on the part of Netflix to look like they are capitulating to the fans, when I was working on DA tracks for Netflix Originals months before Daredevil dropped. And while I didn't work on Daredevil in any capacity, I promise you, it's a hilarious fabrication on Netflix's part to say these tracks were scripted, recorded, mixed, qc'd by both third party groups (sometimes 2-3) and Netflix themselves for 13 episodes in 4 days in response to fans. Even more so when you know how persnickety they are about their content. Truthfully, the amount of work that goes into them to be just right (they often get rerecorded if someone thinks a scene isn't being described properly or description is needed or thinks it's interfering with dialogue, it's a tricky balance) it takes weeks and several rounds. Most likely they fell behind schedule and delayed its release and then saw a great PR opportunity. And that's the sausage recipe on Descriptive Audio. I suspected as much, because the question is, how in the world would they have it all scripted, recorded, and mixed in a matter of day? Probably just a way to keep things in the news, as you say for "great PR". I do think it's a great idea and I also think it is very well done. Worth the time to go back through the series. I can't describe the trailer any better than "personal". I love it. I'm still curious to see how they fit her into the continuity of the MCU. Word on the street is (and by streets I mean the streets with funny animal names they have at the zoo) Marvel could be dropping Iron Fist in favor of the Punisher. I am very excited for this to drop. Can't wait to see it. Even my wife is excited for this series. Less then a month to go before I blow a weekend binge watching! I'd rather them stay the course with Iron Fist. Three Punisher movies & potentially a large role in DD:S2. Let him be the flagship character of the second batch of Netflix characters. Marvel seems to have had a real problem developing Iron Fist into something that fits what they are doing on Netflix. There hasn't been any real movement on the show since it was announced. I could definitely see them put it on the back-burner in favor of developing a Punisher show. I'd rather they wait until they have a concept for IF they think works with the right team than have them push forward half baked. Interesting. Let me ask you and people on the board something. Do you find it more enjoyable to binge watch shows like this? I love that Neflix gives me the option to do so but with Daredevil, I might watch two episodes and then take some time to let what I've seen sink in before coming back for more. I'm thinking I might take the same approach but I'd love to hear people who just do the whole series in a weekend. That, I think, is a mistake. If they make it a movie I think they run the risk of having it be compared to the movies instead of the other series. But odds are it will still have a TV budget and not terribly likely to be as impactful as an MCU film. Iron Fist will end up a weird orphan that doesn't fit in with the other Netflix series and just doesn't hold up to the movies. Even if it's good on its own merits, it will kill solo Iron Fist adventures going forward. I think they could do Defenders as a movie because it's a culmination. Truthfully, this is the first series I binged watched since season 1 & 2 of LOST and 24; both I borrowed from Bry. I prefer binge watching because I can sacrifice sleep/time for 2 back to back nights then try to make time for a couple episodes. The fact we average a month until we watch our Netflix DVDs illustrates how difficult it becomes to carve out 2hrs a week to watch something. Full disclosure: when I binged watched LOST & 24, I was only dating my (now) wife and lived alone. When I binged watched DD, my wife & daughter spent the weekend at my in laws.